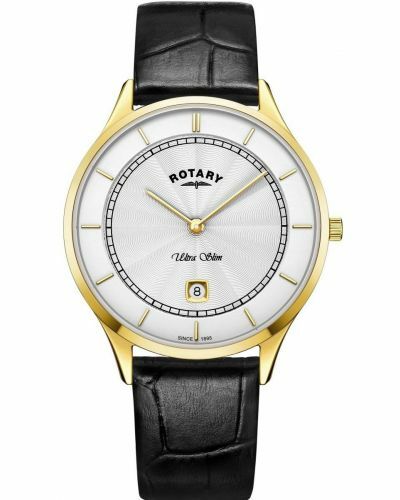 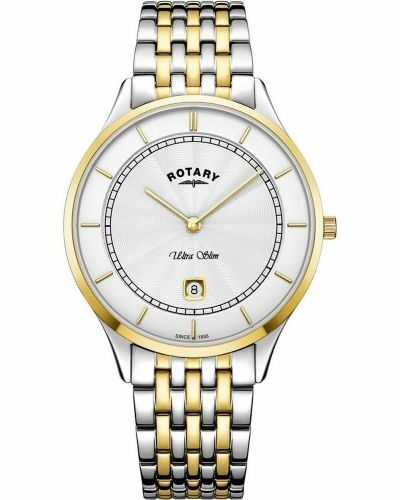 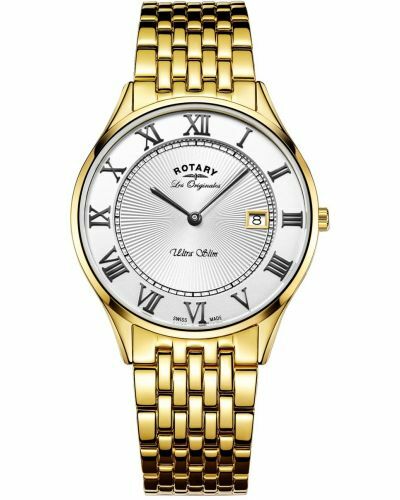 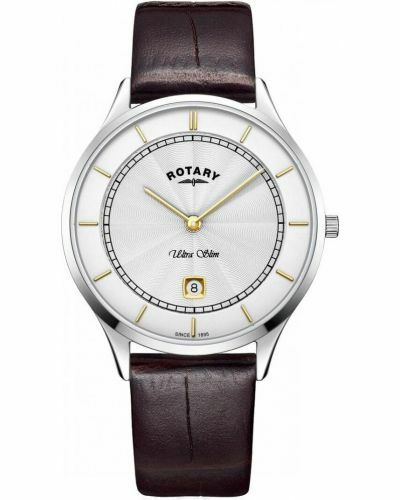 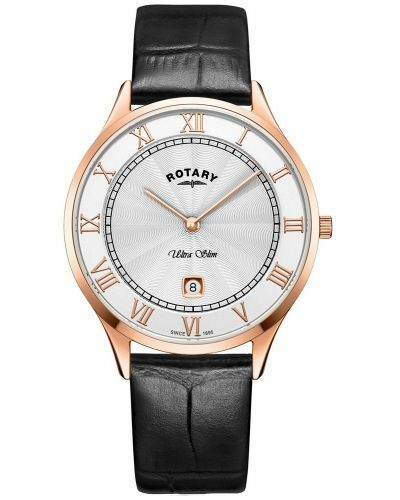 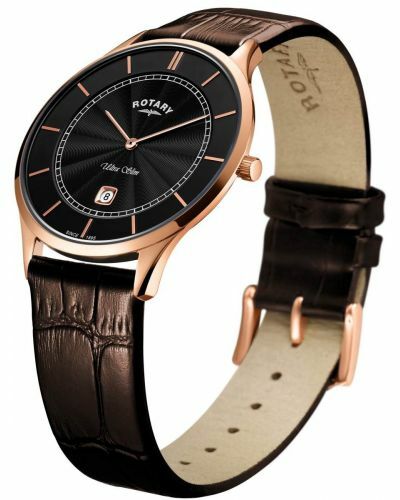 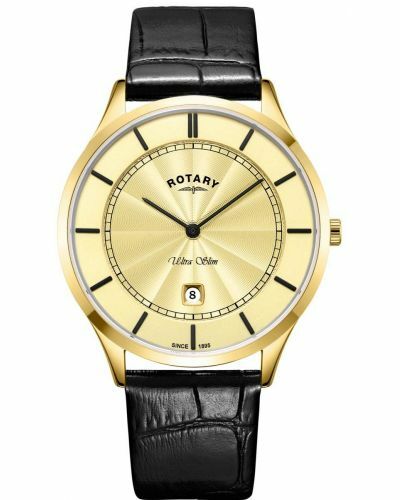 Brought to you by renowned Swiss watchmakers Rotary as part of their men’s Ultra Slim collection; true to its name this stunning watch features a 5.7mm ultra slim stainless steel case and a 38mm polished stainless steel bezel. 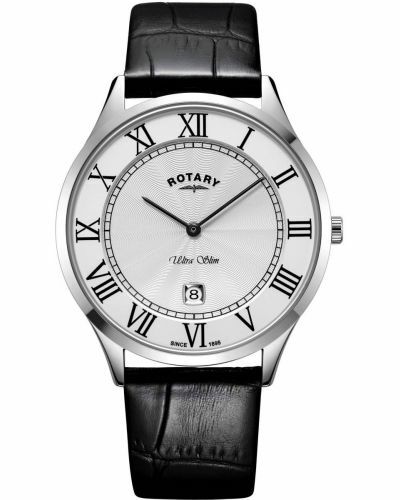 This striking watch has a white outer dial with a serrated silver inner dial and is complimented by the black batons and crisp black Roman numeral hour markers. 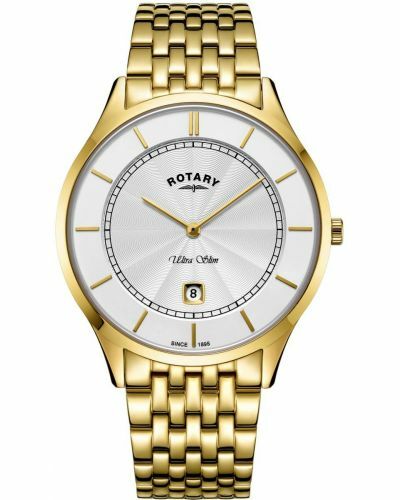 A date display window is located at the 6 O'clock position. 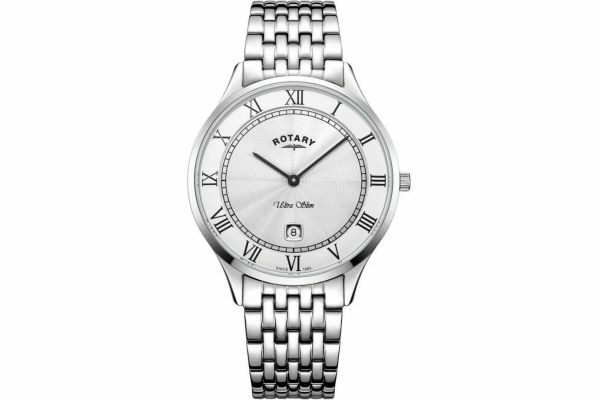 Set upon a striking polished stainless steel link bracelet and fastened with a fold over push deployment closure this bold watch is both practical and eye catching.